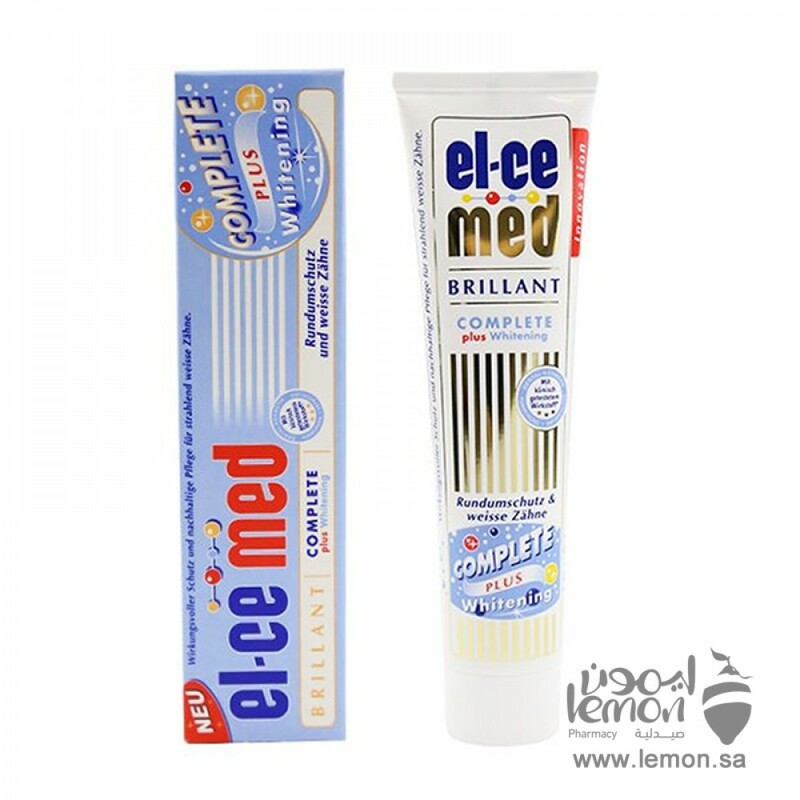 EL-CE MED COMPLETE PLUS WHITENING TOOTHPASTE Regularly Using EL-CE MED COMPLETE PLUS WHITENING Restores Teeth To Their Natural White Color. 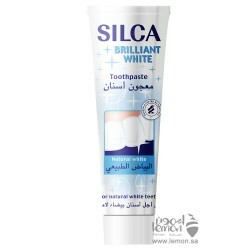 The Active Ingredient Pentasodium Triphosphate Starts By Dissolving Discolored Deposits On The Tooth‘s Surface. They Are Then Removed Gently But Thoroughly With Medium-Abrasive Particles. 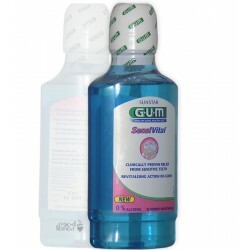 In Optimal Doses, The Ingredient Sodium Fluoride Actively Prevents Cavities. Urea (Carbamide), A Component Of The Natural Saliva Blocking System, Neutralizes Tooth-Damaging Acids And Helps Keep Cavities From Forming While Keeping Your Teeth And Gums Healthy. A Carefully Chosen Flavor Profile Makes Your Mouth Feel Pleasantly Fresh And Clean. 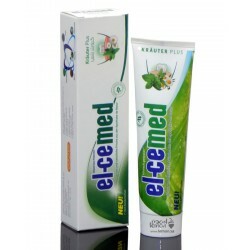 Brushing Daily With El-Ce Med COMPLETE Plus Whitening Provides Comprehensive Protection Against Cavities, Periodontitis, Plaque And Bad Breath, And It Also Helps Restore The Natural White Color Of Your Teeth. 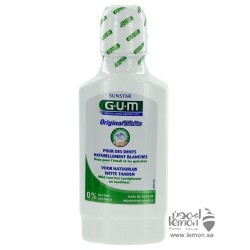 Corega Ultra Denture Fixative Cream is formulated to give you firmness all day and has a natural fla..